February is always a red-and-white month for my sewing, so I cast my thoughts to something Valentine-heart-love related. I hit upon one of my previous designs, "X and O", and decided to remake it on a smaller scale. This is the original, which uses an 8" New York Beauty block in a diagonal setting. 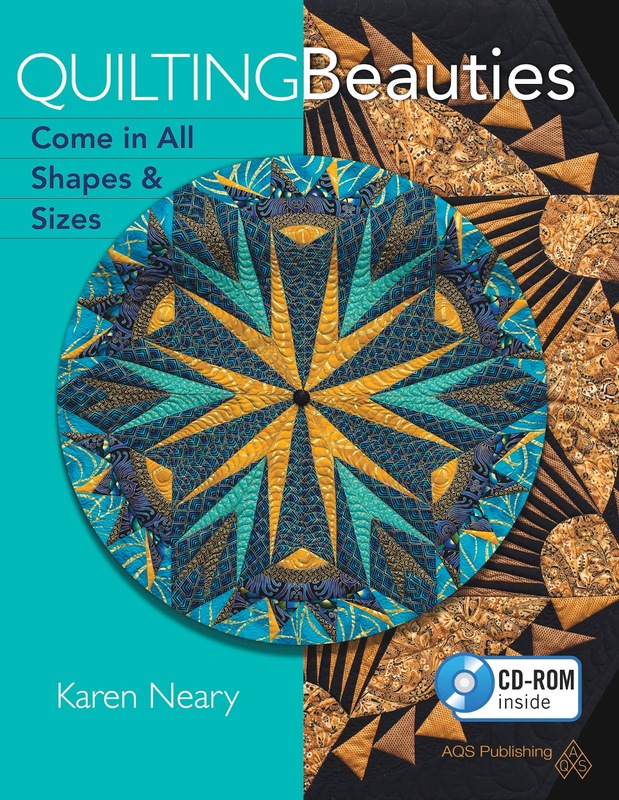 The pattern is in my book, Quilting Beauties, and since it has the templates and foundations on a CD, it's really easy to resize the blocks in the printer menu. 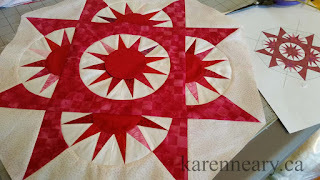 For the background fabric, I used a piece of the Check It Out from my December project. 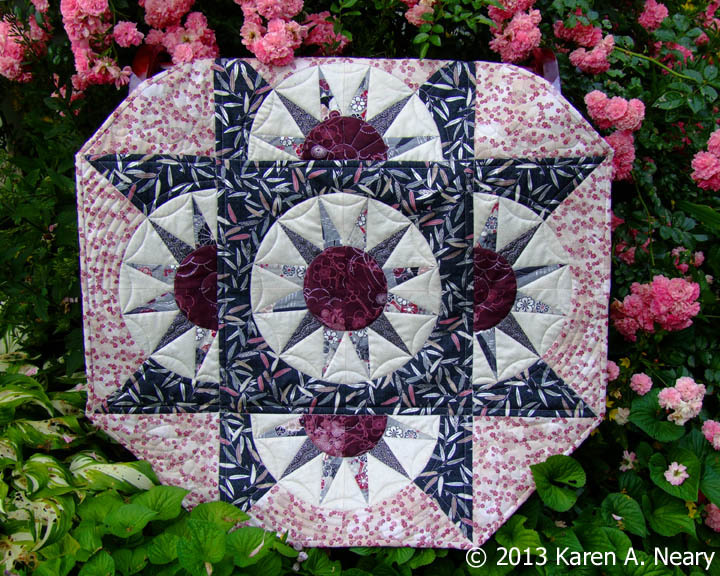 I love the subtle colour change in this print, and knew it would not overpower my little quilt. For the light print I chose a piece called "Almond", from the Neutrals line. It has a faint marl of purplish-pink running through it. 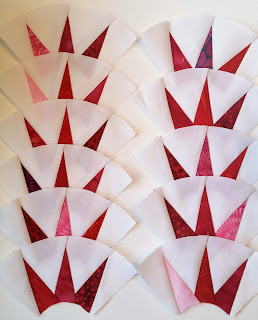 Underneath the spikes, is a pure white batik so that the points will show nicely. 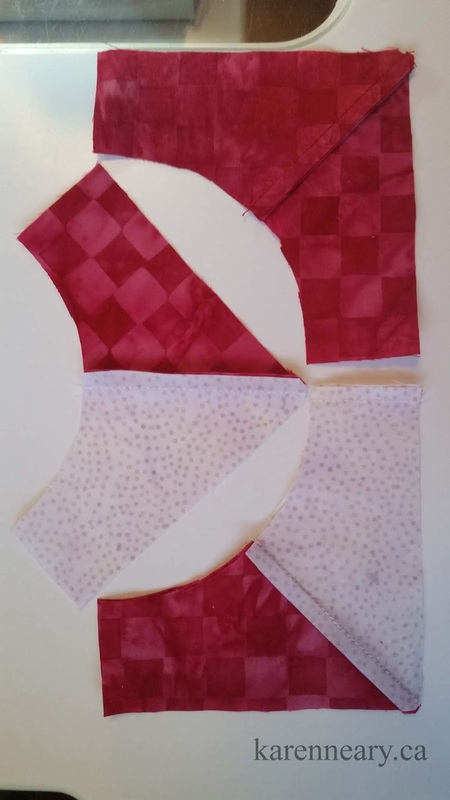 The piecing was pretty straight forward and the centres for the side blocks were easily sewn in. 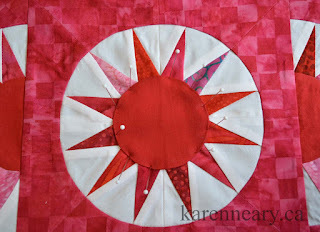 For the centre, however, I decided to eliminate the seams and appliqué a complete circle on top of the spikes. 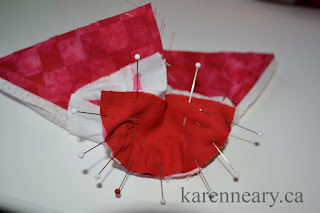 To do this, I put my pins in straight down through the fabric, and then gently bend them back and slide them in horizontally. 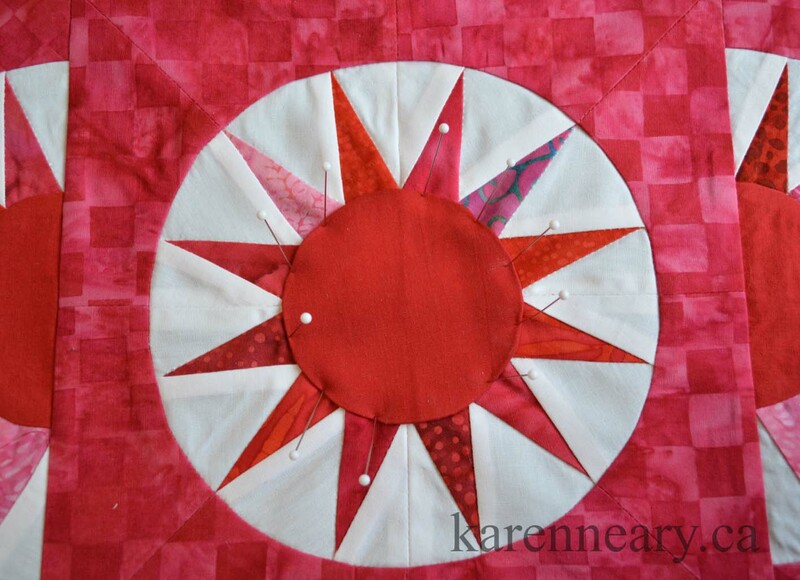 This way the circle stays in place as each pin goes in. 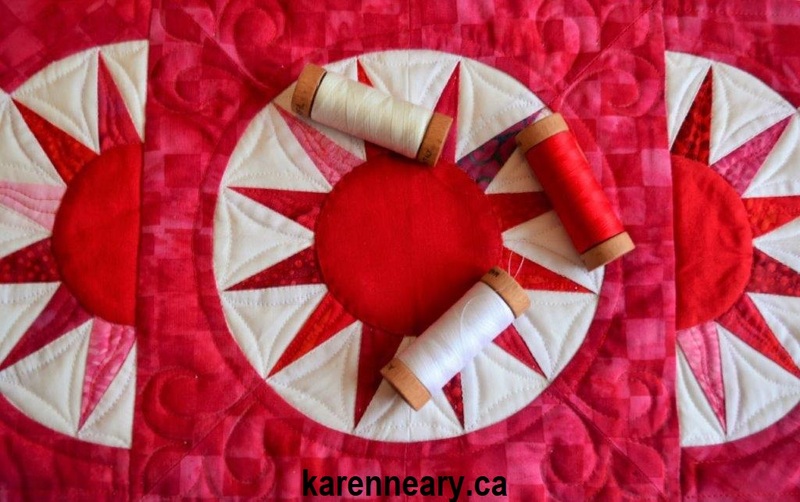 I chose ultra-fine Aurifil 80 weight cotton to machine blind stitch the circle in place, switching to a size 10 Microtex needle. 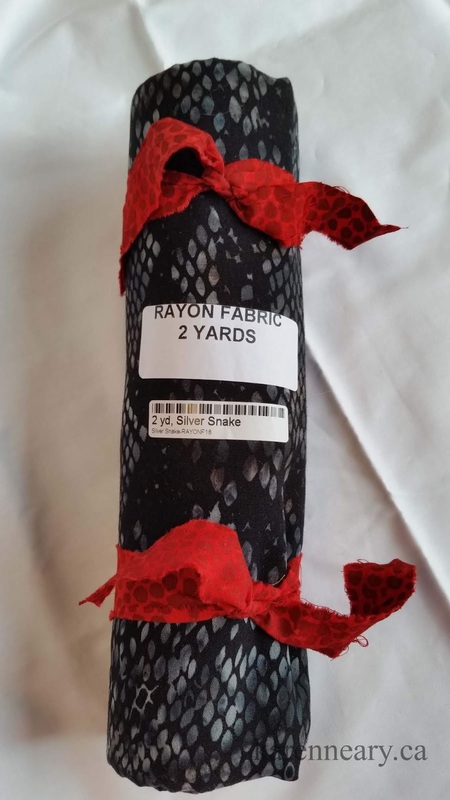 It disappeared right into the fabric. Looks like we are ready to quilt! I always love comparing the piece to the sketch drawn in EQ8 to see how close I came. Not bad! 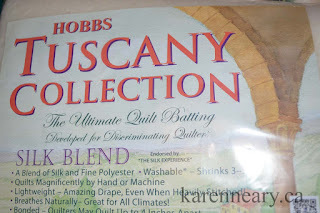 The batting used is Hobbs Tuscany silk, which is one I use a lot, and always in a miniature. 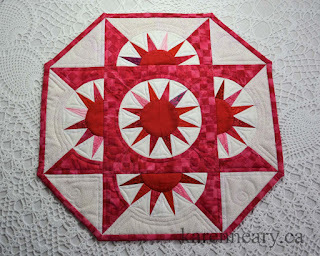 It allows the quilting to show, but without adding bulk which a heavier batt would do. 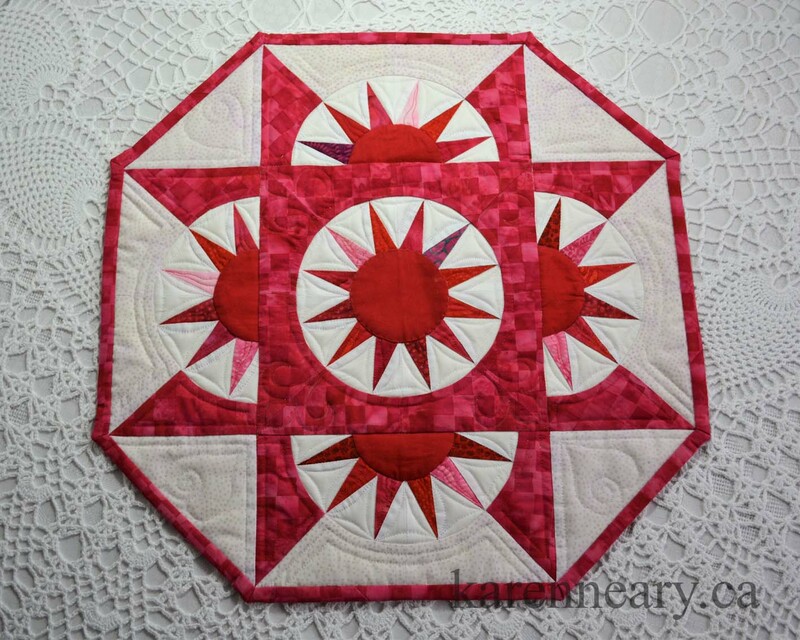 It produces a beautiful drape in the finished quilt. 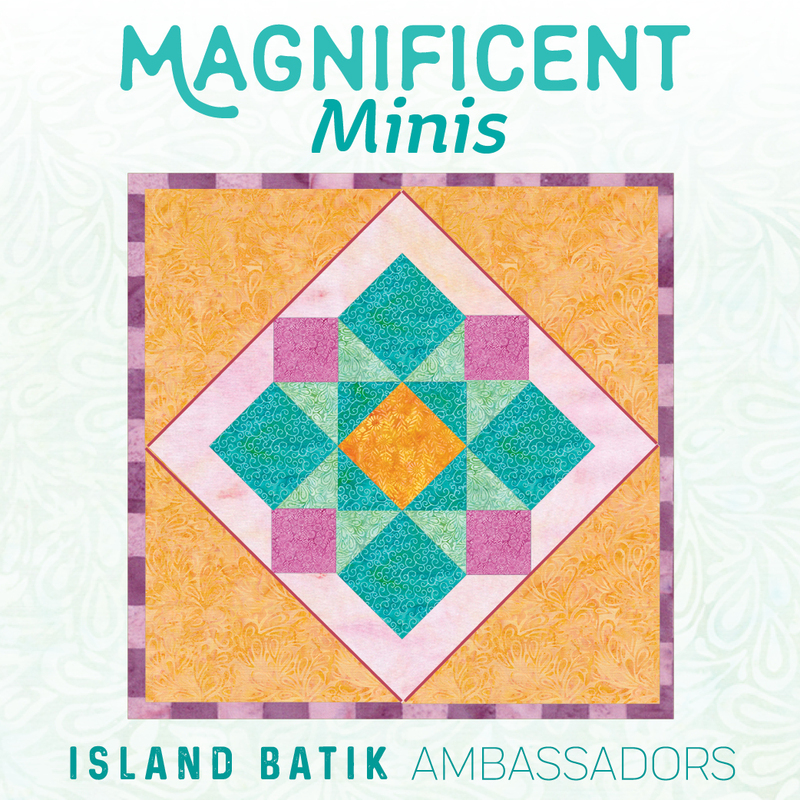 The thread chosen to quilt this miniature is the same Aurifil 80 weight used for the appliqué. 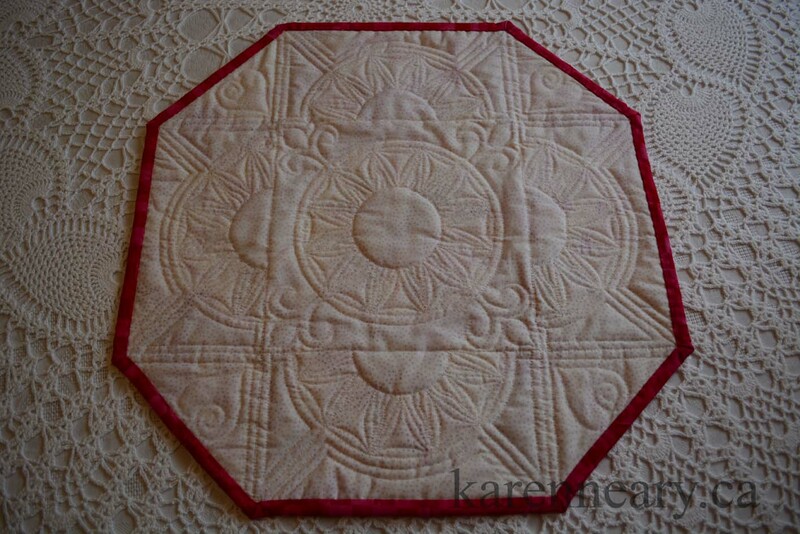 The space for quilting is pretty small, so a fine thread is perfect. 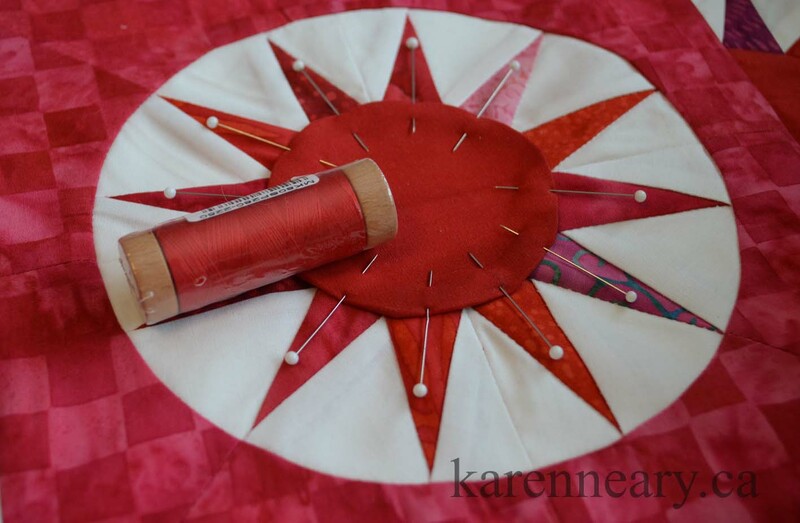 I kept regular 50 weight thread in the bobbin, and switched my needle out to a size 10/70 Topstitch needle. 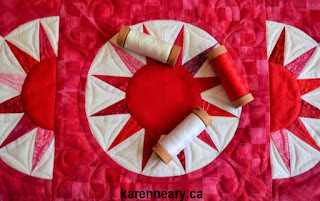 The larger eye of the needle prevents drag on the thread when doing free-motion. 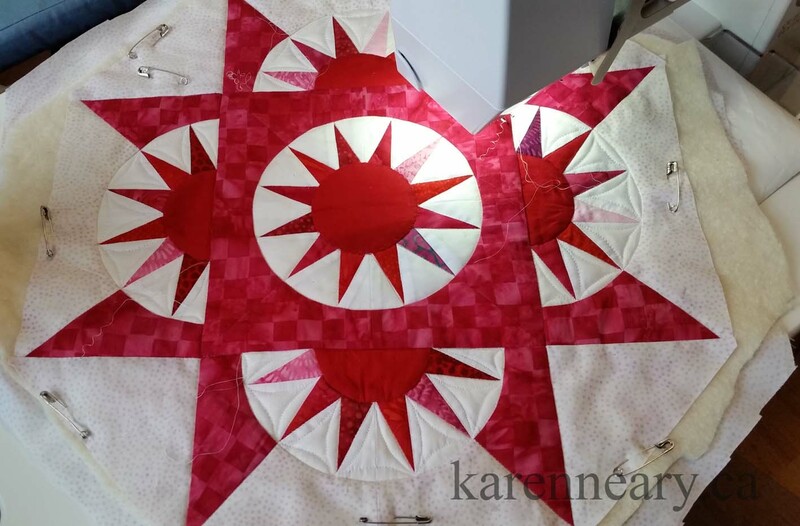 I didn't do a whole lot of quilting, as I didn't want to overpower the design of the patchwork. There are curves in the white triangles under the spikes, a little lick of flame in each spike, and tiny fleur de lis flanking the centre New York Beauty blocks. 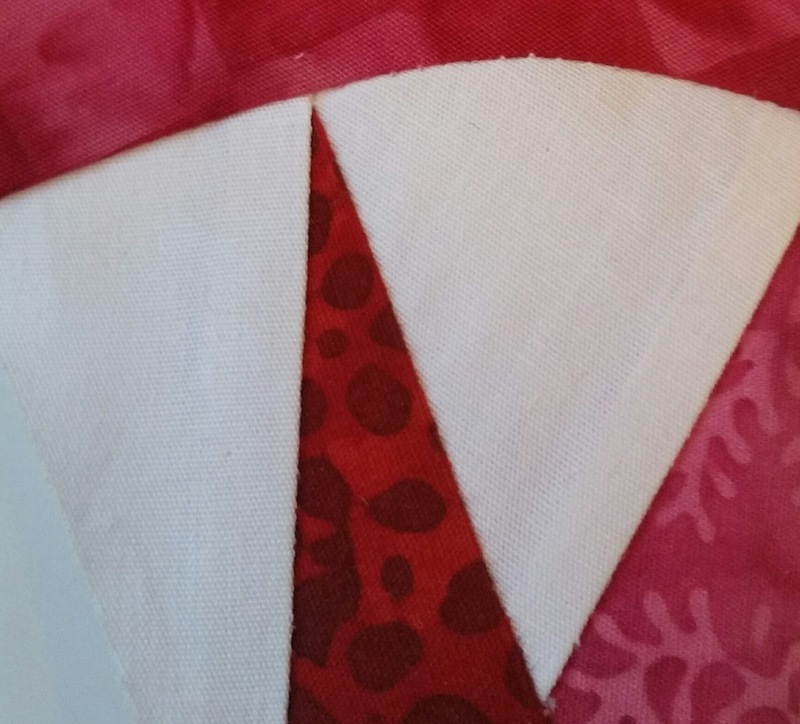 The background has some echo quilting, and a heart added in each setting trianle. Here's the back, which is the same Almond used for the front, and 50 weight Aurifil in the bobbin. 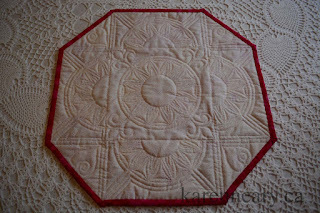 My miniature X and O finished at 16" across. 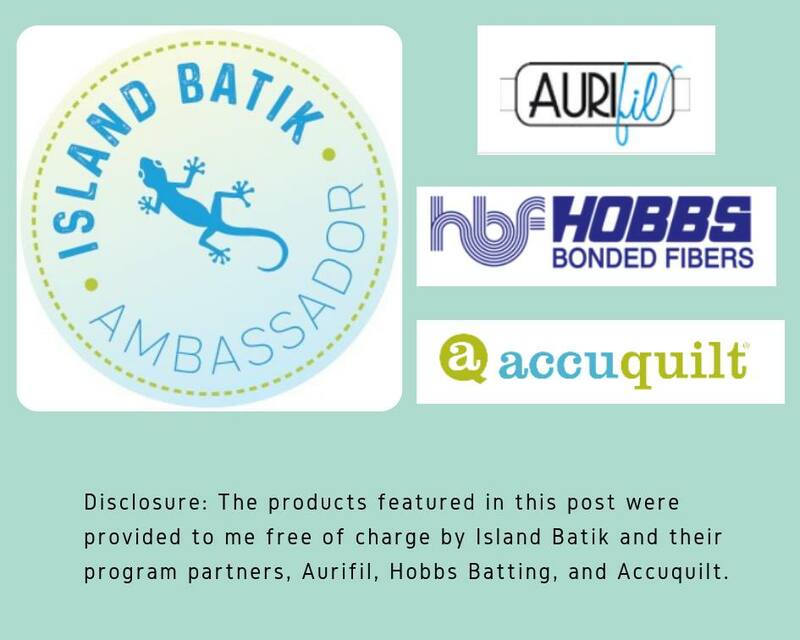 Thank you to Island Batik, Hobbs Batting, and Aurifil thread for the products used. 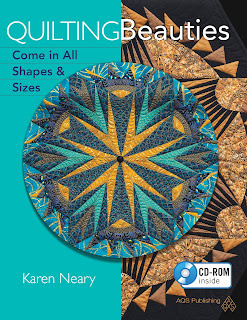 You can find the pattern for X and O in Quilting Beauties. You have risen to the challenge wonderfully, Karen......as if there was any doubt! 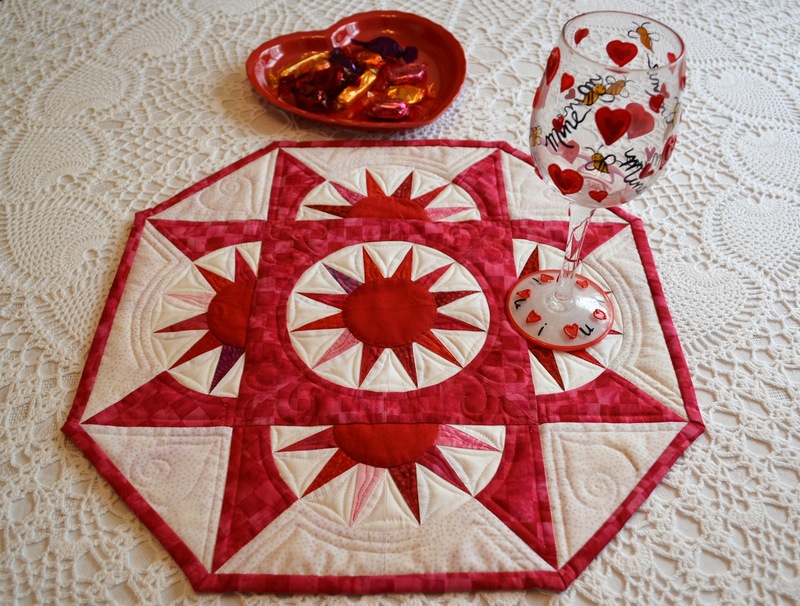 I love red and white! This is beautiful! Perfect spikes and perfect save on that ribbon of fabric. beautiful! thank you for sharing many details. 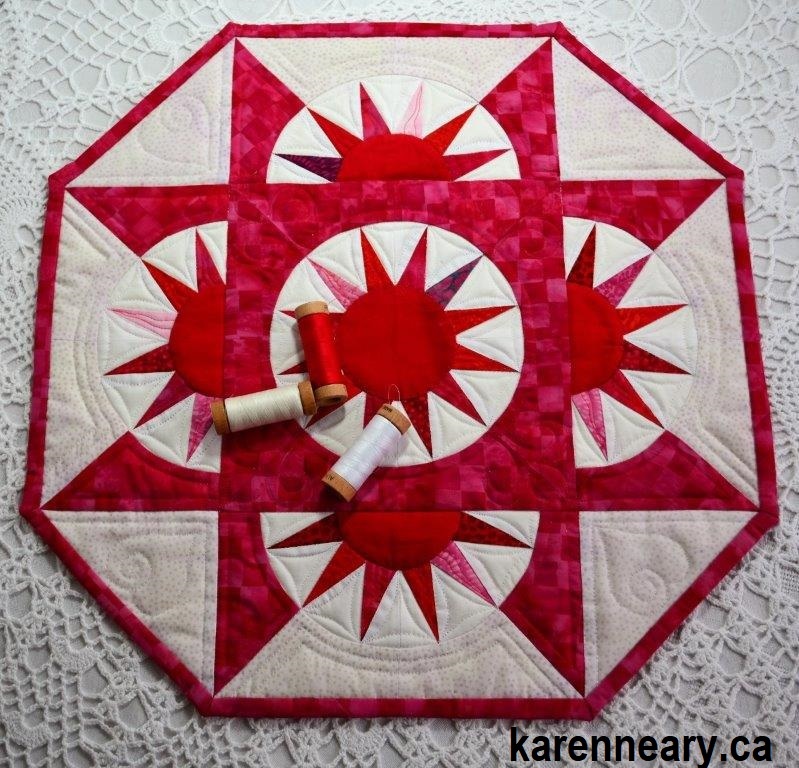 That is a real "beauty" of a quilt. 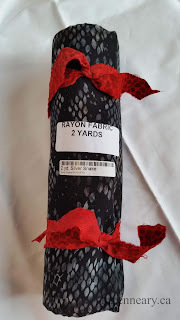 I love the use of "any little scrap" with the red that was used to tie up the rayon. I love those red pointy spikes! 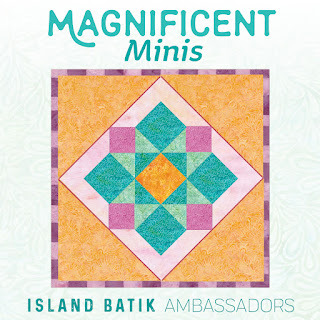 What a beautiful mini! 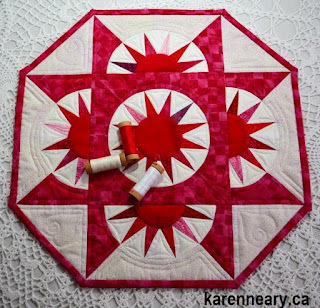 Wonderful little quilt. Great job. So lovely Karen. This beauty tells me that I can wait for many great quilts from you throughout the year. Wow. It's amazing. And finished before the first week of February is finished. ☺ I didn't realize you had a book. I'll have to see if our library has it so I can take a look. Thanks for the info on the silk batting...I'll give it a try for my mini. Love it! Love the red and white, love the thriftiness of using the tie scraps, love the NYB design. L❤️ve! 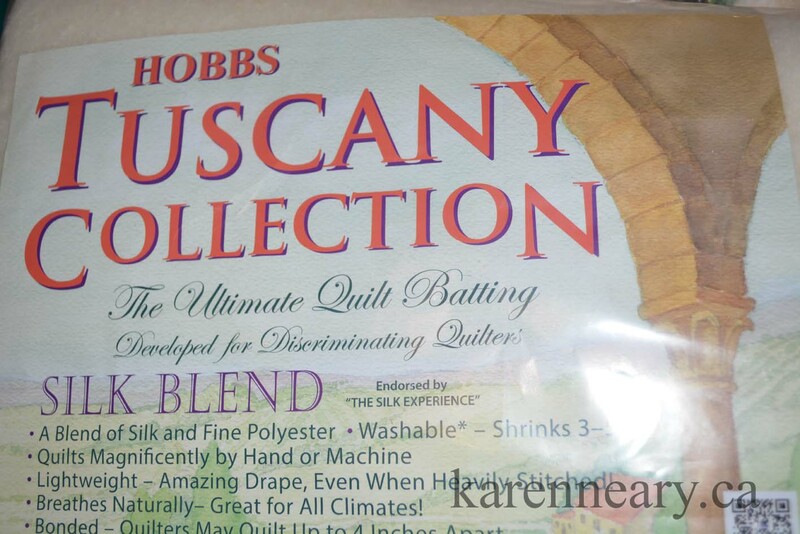 We Have Thread - Glorious Thread!